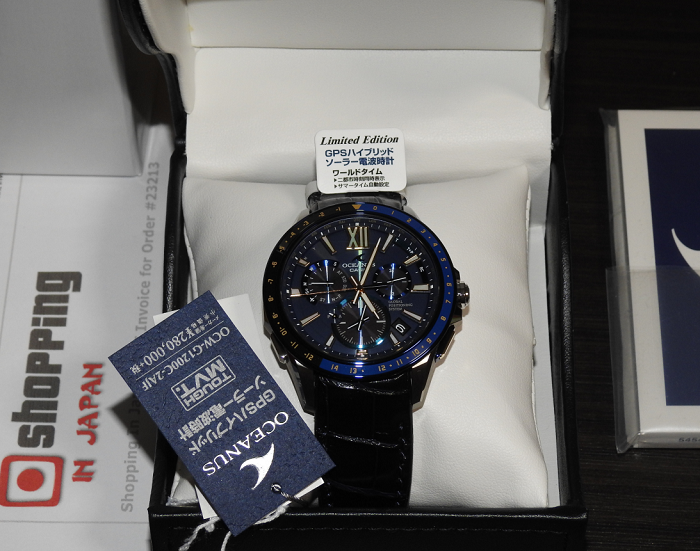 Still available from Japan at best price for this Limited Casio Oceanus OCW-G1200C-2AJF that comes with titanium Case and two-color molding ceramic blue and black bezel and has navy blue crocodile leather band. This Oceanus Limited OCW-G1200C is a JDM (Japanese Domestic Market) watch model and it's now in our stock - ready to ship within 48 hours to any country. So buy now before it’s too late!